March 3, 2012 - Teamsters Local Union 1108 announced that it has terminated negotiations to obtain a Furlough Letter of Agreement for its members who are pilots employed by CitationAir, the Greenwich, Connecticut based provider of luxury business jet fractional ownership, jet-card and aircraft management services. Negotiations to reach agreement commenced earlier in February when management announced the company was exiting the fractional ownership segment of its business and would lay off pilots beginning in late March of this year. CitationAir employs about 370 pilots and is wholly owned by Cessna Aircraft Company, which itself is wholly owned by Textron, Inc., a government defense contractor. The pilots voted to join the Teamsters last summer, even though management mounted an intense anti-union campaign against them doing so. The parties met at CitationAir corporate headquarters during the second week of February and continuously exchanged proposals throughout the month. Management steadfastly resisted adopting industry-standard furlough and recall provisions as they prepared to lay off a large portion of their pilot workforce between now and the end of the year. ?The International Brotherhood of Teamsters stands firmly behind the CitationAir pilots,? said Capt. Dave Bourne, Teamsters Airline Division Director. ?It is unfortunate management intends to end the employment of these dedicated flight crewmembers without providing the same protections and benefits available to their peers at CitationAir?s major competitors.? ?We had hoped our relationship with management was steadily improving,? said Capt. Mat Slinghoff, President of Teamsters Local 1108. ?However, management?s final take-it or leave-it proposal demonstrated a lack of respect for the pilots at CitationAir?both those who will be leaving and those who will remain.? CitationAir by Cessna, founded in 2000 as CitationShares, is a subsidiary of Cessna Aircraft Company that provides private aviation services. It offers services in fractional jet ownership, jet card membership, corporate solutions and whole aircraft management. CitationAir is one of the four major players in the private aviation market. It is a seven-time winner of Best of the Best awards from the Robb Report, most recently in 2009. In 2009, the company rebranded itself as CitationAir, changed its business model, and streamlined the product names it offers. 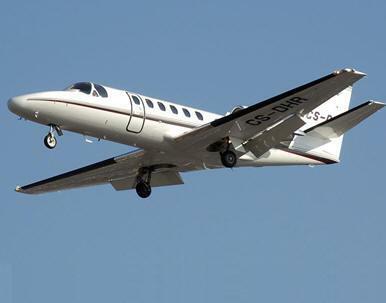 Local 1108, which is part of the Teamsters, represents the pilots employed by CitationAir and more than 500 pilots employed by Cleveland, Ohio-based Flight Options, which is also a provider of luxury business jet fractional ownership, jet-card and charter services.